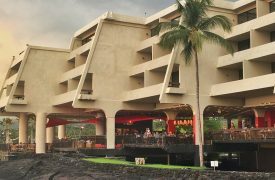 If there’s one thing the Big Island isn’t lacking, it’s incredible dining options at a high level. Easily stacked up with some of the finest restaurants in the world, the options crafted by Big Island chefs aren’t just wonderful by competitive Hawaiian standards; they can be matched up against similar offerings throughout the fine dining world. But with so many options at your disposal, the choices can be overwhelming – even if you eat out every single night of your stay. So to pare things down and highlight some of the tastiest options around, consider this list of our favorite sophisticated dining experiences Hawaii’s Big Island has to offer. 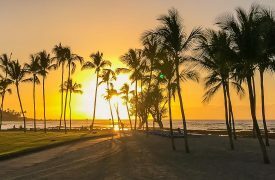 A tremendous dining experience set in a postcard-worthy setting, the Beach Tree is centered in the luxurious Four Seasons Resort at Hualalai and offers breezy covered seating or beachside dining and an outdoor lounge featuring nightly musical entertainment. With world-class cocktails and gourmet dining that lives up to the Four Seasons name, you’re hard to find a disappointing item throughout their four course and casual menu. A healthy divide between a traditional sushi lounge and a fine Hawaiian grill, the ‘Ulu Ocean Grill and Sushi Lounge is located within the Four Seasons Hualalai and features some of the finest seafood and sushi in the world. 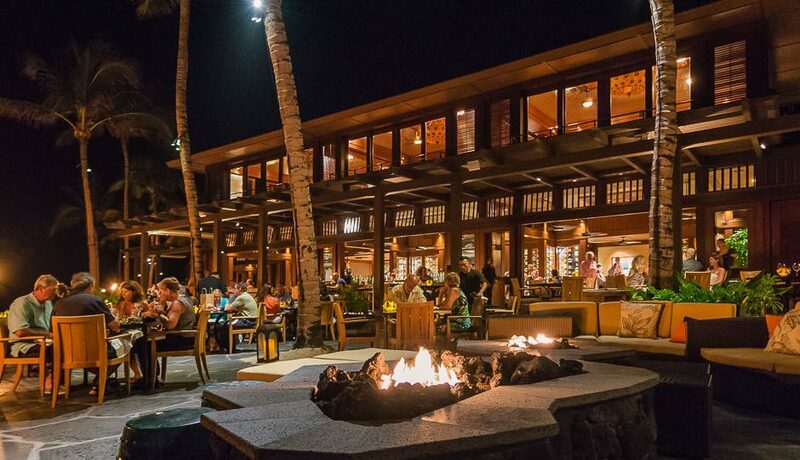 The oceanside open-air seating is only bested by the tasteful, creative interior and the Hawaiian torches lit each evening, so if you’re able to make a reservation (the place fills up fast), you owe it to yourself and your party to stop in. Nestled in the tiny mountain town of Waimea, Merriman’s is one of Hawaii’s most food-first restaurants. Chef Peter Merriman is largely responsible for encouraging the modern local and organic food movement among Hawaiian farmers, and that dedication to island-fresh ingredients shows in every dish. Try the macadamia nut-crusted Kona kampachi for an authentic taste of everything the Big Island dining scene has to offer. 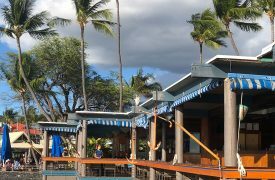 Construction Notice – Resort Closed Thru Nov 2019 Like many of the memorable dining environments on the Big Island, The Canoe House overlooks the crystal blue waters of Nanuku Inlet, providing guests with a breezy, gentle ocean atmosphere. With more than 85% of the ingredients sourced right on the island, menus are seasonal, personally curated by expert chefs, and carefully paired wines with each course, the Canoe House’s Captain’s Table experience should be atop of your culinary expeditions during your stay. A mainstay of downtown Kailua-Kona, Huggo’s has earned its reputation as a must-stop dining destination for visitors of the Big Island. With a seaside location, gentle ocean breeze, fresh-caught seafood and a cocktail selection to die for, a trip to the Big Island is incomplete without checking out Huggo’s. A Hilo favorite, Pineapples’ menu skews toward more traditional pub and burger joint fare, but the preparation, atmosphere, and quality of the ingredients combine for an unforgettable dining experience. Compared to the rest of the establishments on this list, it’s also more affordable than most, making it a great option for families and large parties adventuring on the Hilo side. This open-air, bay-view restaurant is best known for its breakfast and brunch offerings, but Manta also rumbles to life for dinner. An exhibition kitchen that features live entertainment throughout the year, Manta offers a delicious Hawaiian take on traditional fare as well as exciting culinary inventions from some of the finest, most creative chefs around. One of the best (and affordable) Italian restaurants on the Big Island, Cafe Pesto combines traditional Italian cuisine with a Hawaiian touch. A mainstay of the Hilo restaurant scene, Cafe Pesto’s reputation for a delicious, expertly crafted, and diverse menu is unmatched.